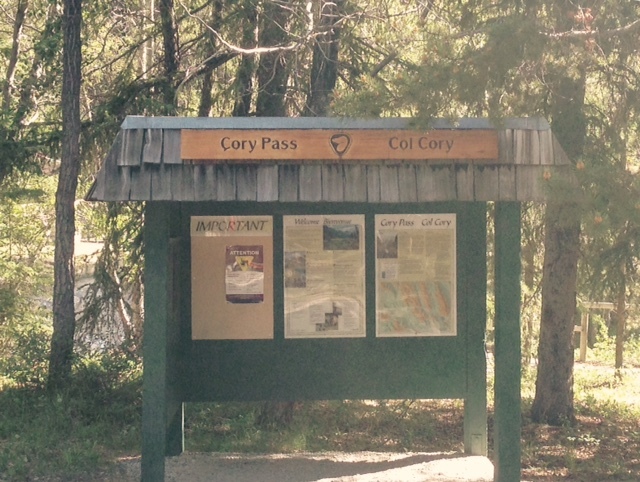 Last week I had what easily ranks as one of my most epic running experiences to date – the Cory and Edith Pass Trail Loop, just outside Banff. 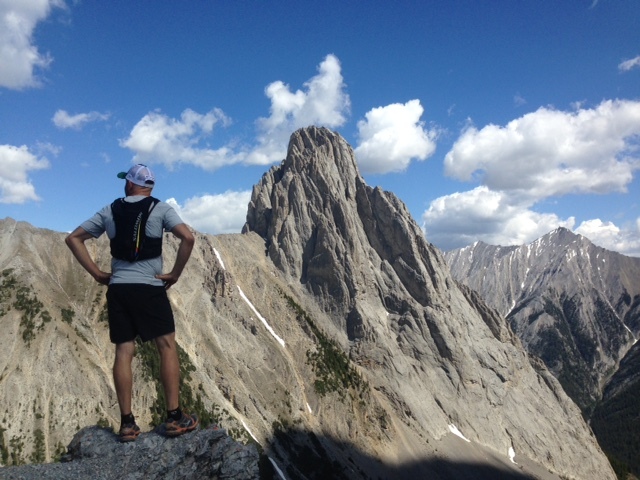 What’s more, I ran in the great company of Mike Fitzpatrick – “Fitzy” – the founder of Canmore Trail Culture (find it on Facebook! 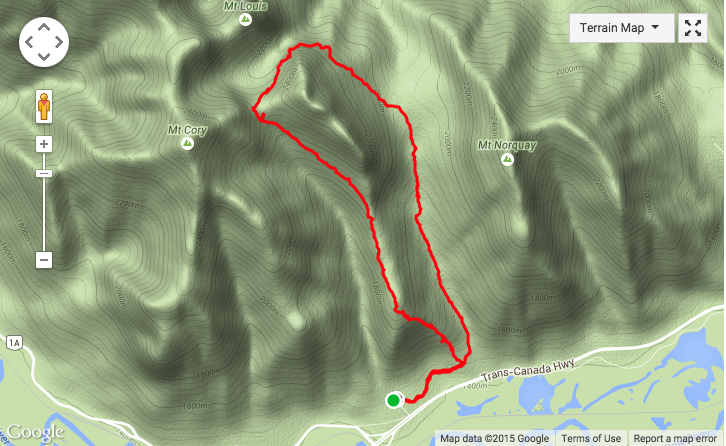 ), the local trail running group and the subject of a future post. 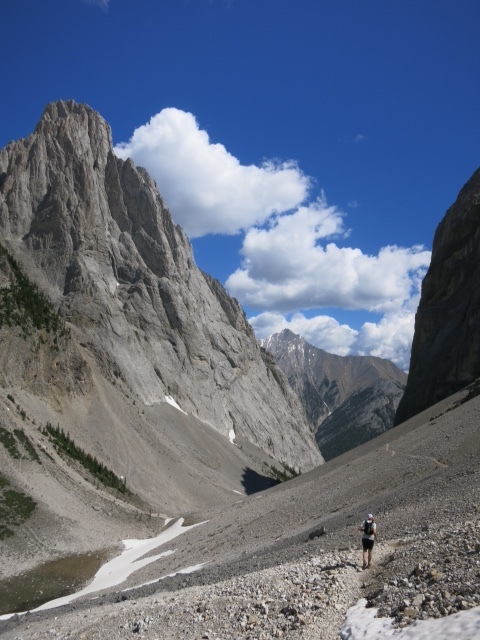 I first read about this run in a February 2014 article in Canadian Runner by local runner Simon Donato. 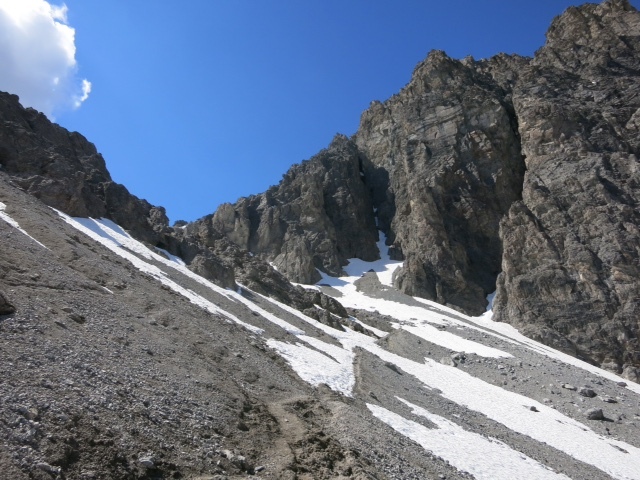 His vivid description of the trail left no room for doubt that this would be anything other than a truly challenging run in some spectacular scenery. 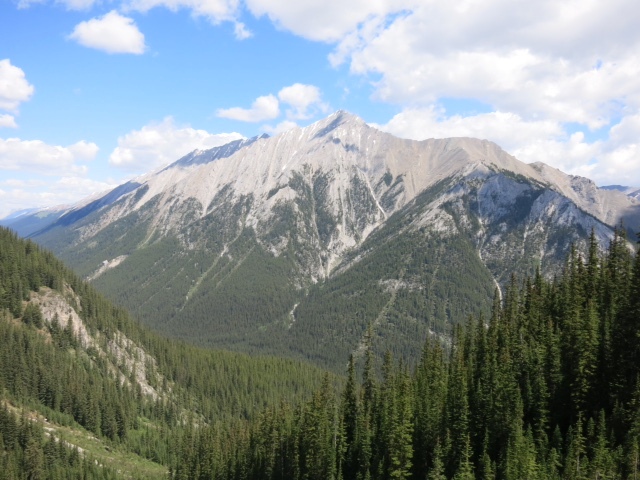 Donato’s article succinctly explains all you need to know about how to access the trail head (only 5 minutes west of Banff, along the Trans Canada Highway) and about the route itself so i’ll not repeat any of that here. 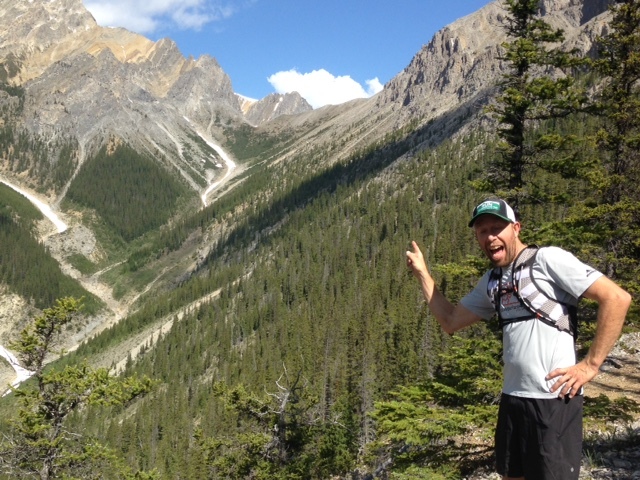 Traversing the side of Mount Edith, with Mount Cory in the distance. 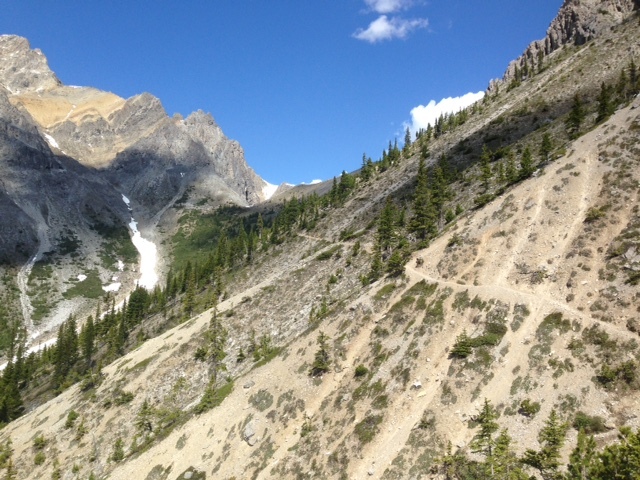 The trail up to Cory Pass, along the side of Mount Edith. 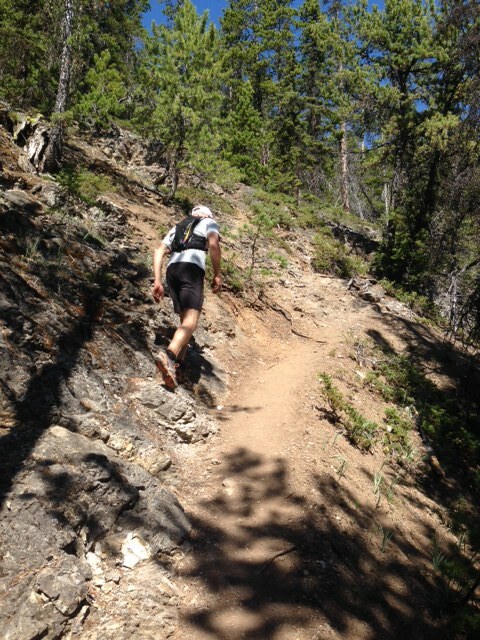 It was towards the top of the climb that I began to ask myself at what point altitude affects performance. That I kept asking myself the question, over and over until I reached the pass, without trying to answer it, would suggest it’s around 2200m. 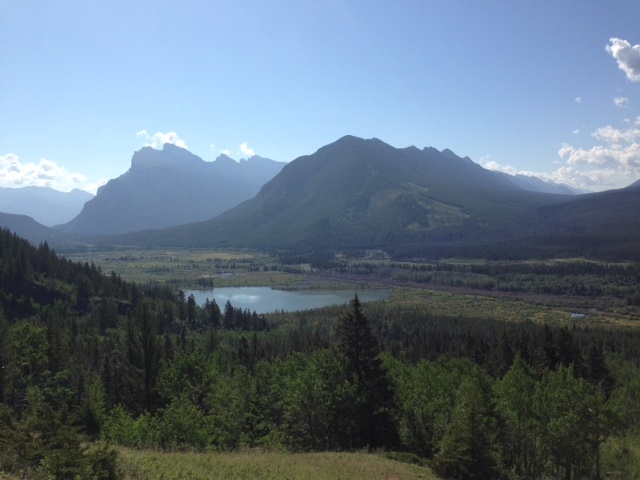 Mount Louis, centre, Fitzy, left. 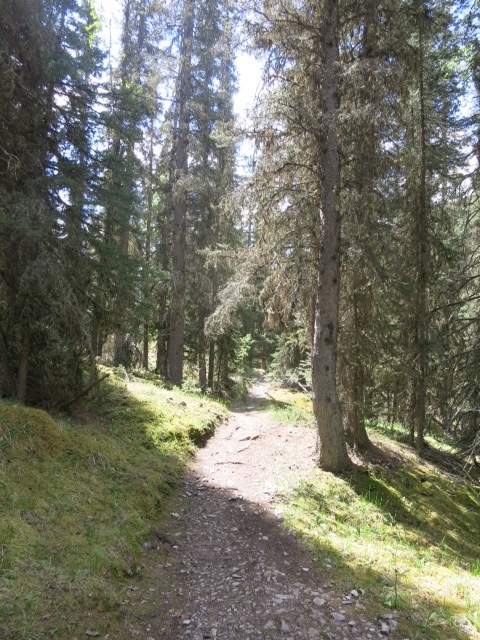 …and eventually back to the trail head where it all began. 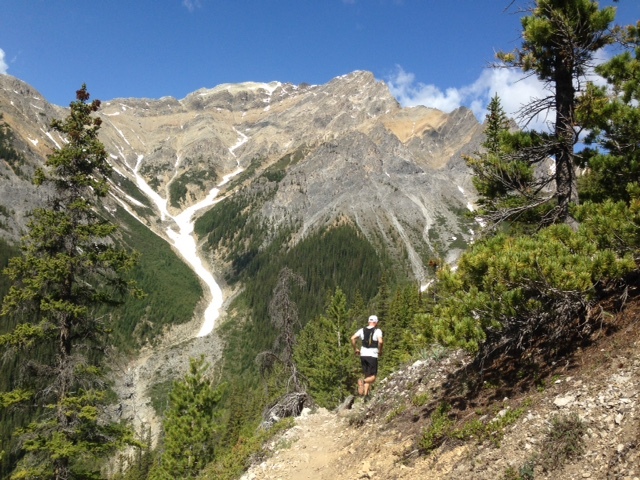 All in all, an awesome morning on the trails and one to be repeated very soon. Thanks to Fitzy for leading the way. Previous Article The Canmore Quad. Oh. La. La.